Titanic Research Papers delve into Robert Ballard's search for the ship the Titanic. Research papers that explore the Titanic can report on any aspect of the ship, including the construction, the historical timeframe of the Titanic, the passangers on the Titanic or the sinking of the famed cruise ship Titanic. Any topic on the Titanic you need explored, our writers will custom write your research on it. 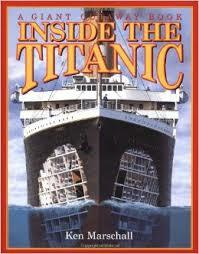 Almost everyone is aware of the fateful sinking of the grand ship the Titanic. The story of the exploration of the Titanic and where it rests on the bottom of the ocean floor, is a little more shrouded in detail. To find the resting place of this once magnificent luxury liner, has taken many years of research, compilation of data, and the newest of underwater technology. The beginning of Titanic’s revival can be dated at 1973. The three-man submarine called Alvin, was being redesigned to accommodate depths of about 12,000 feet. This was thought to be the depth at which the Titanic finally rested at the bottom of the ocean. Robert D. Ballard was a member of the Alvin team, a part of the U.S. Navy’s Deep Submergence Group. His dream became to find the Titanic and for twelve long years he tried to get others interested in the same dream. Robert Ballard became one of the foremost oceanographic scientists around, and logged more hours of deep sea expeditions than any other scientist. Still, the backing to launch a Titanic expedition was hard to find. Finally Ballard met Bill Tantum. Tantum was nicknamed “Mr. Titanic” because of the wealth of knowledge on the Titanic that he possessed. His gripping stories and drama of real people aboard the Titanic, gave Ballard the determination needed to find the greatest ship that succumbed to the greatest of all sea disasters. Frenchmen - aboard the ship Le Suroit. The French ship Le Suroit was using the brand new SAR sonar system. This was a sonar tracking instrument that looked somewhat like a red torpedo. The SAR torpedo sonar would bounce electronic sound waves off any underwater objects and the Knorr, housing the sonar receiver, would pick up any evidence of the underwater objects. The first six weeks brought with it turbulent weather. The expedition did not progress very well up to this point. Ballard decided to change from the sonar to video technology with the use of Argo, a steel sled that housed video cameras. Any images detected along the ocean floor would travel up the tow cable and onto the video screens on the ship. Time was running out and tensions were mounting, so Ballard needed to make some headway soon, or the expedition would need to be canceled. The Lusitania research papers report how instrumental the luxury ocean liner was in World War I. Sinking of the Lusitania research papers show that this one act forced America into World War I. Paper Masters writes custom research papers on Titanic and delve into Robert Ballard's search for the ship the Titanic.